Newly Listed, Excellent Like New Condition! 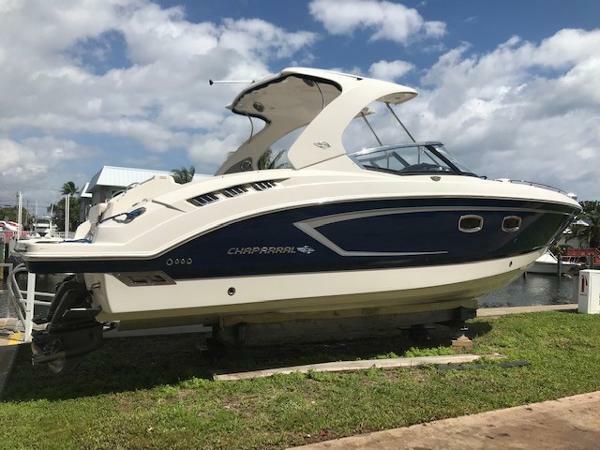 Complete Marine is pleased to offer this exceptional 2012 Chaparral 327SSX equipped with the upgrade Volvo 8.1 Gi 400 closed-cooled stern-drive engines with only 250 total hours. 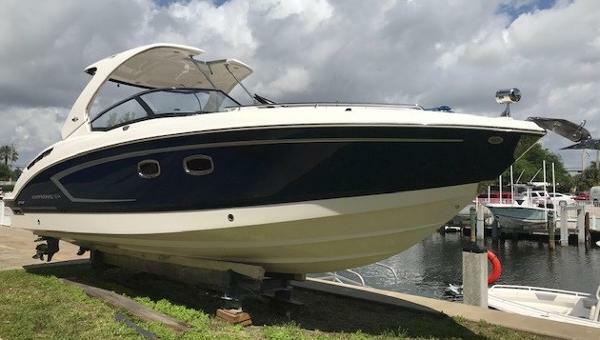 This boat performs like a performance boat, yet has a cabin like a Cruiser, and the added bonus of a Bowrider. The best of all worlds in one boat! With Generator and Air Conditioning, your days on the water will be quite comfortable and includes air ducts at the Helm! The cabin features a large flat-screen television, AM/FM/CD Stereo with Bluetooth, DVD Player, Microwave Oven, Head compartment with Vacu-Flush Head, sink, and shower, and a large L-Shaped sofa that converts to a sleeper. The cockpit area is covered by a large hardtop with enclosure, Wetbar with storage, a large wrap-around seating area that converts to a huge sunpad with the touch of a button, aft-facing transom seat, large swim platform with fold-down swim ladder, double helm and port-side companion seating, and a huge storage compartment under the floor! Up front in the Bow, the area above the cabin beneath is large and open with wrap around lounge seat to port and a double seat on the starboard. A windlass system with foot controllers as well as control at the helm makes anchoring a breeze. Comfort abounds throughout this extraordinary vessel, she is designed to meet every need! Don't wait to call on this vessel, she will not last long! Contact David today to schedule a showing of this magnificent vessel. Trades are welcome and Financing is available! Only 101 hours on engine! 2012 327 SSX with only 101 hours on the engines and only 4 hours on the generator. Always in fresh water, covered, and on a lift. 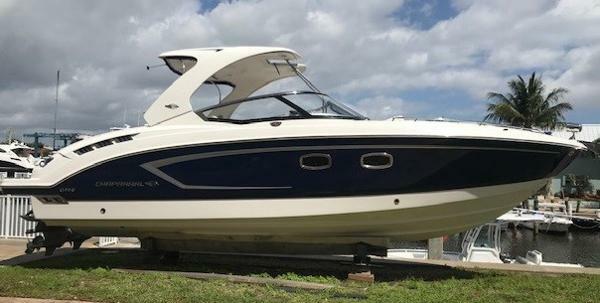 Detailed/waxed twice a year, so the boat looks brand new. Snap-in carpet was removed and stored indoors, so it also looks/feels new. See attached sticker for a list of all options. Lifetime Sirius XM subscription attached to boat's satellite radio. Available separately is a 12,000-lb Sunstream Sunlift for $10,000. Purchased new for $28,000.